Mayor of Tuam Mary Loftus is quitting the Labour Party after 34 years of membership. THE LABOUR MAYOR of Tuam has resigned from the party in protest what she believes was a snub last year when a seat on the county council became vacant. Mary Loftus told TheJournal.ie that she was not considered for the council seat left by Colm Keaveney when he was elected to the Dáil for Galway East – and that the seat was instead given to a candidate with less political experience. At the party convention to choose the candidate to be co-opted into Keaveney’s seat, however, Loftus said only four members were eligible to vote – and that the election was skewed against her. Instead, the seat was given to Sean Cuniffe, the other Labour member of the town council, whose election was 2009 was his first time holding office. 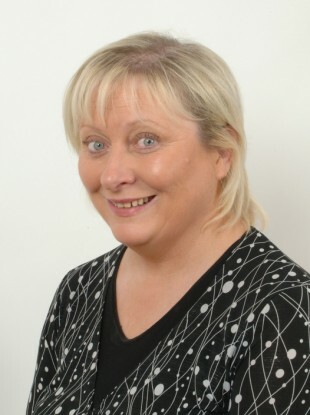 Loftus has been a Labour member since 1978, and said she was inspired to join the party when she studied under Michael D Higgins at University College Galway. Loftus said she was also motivated to leave by Labour’s performance in government and its partnership with Fine Gael. “We’re sliding down the slope faster than even we know,” she said this afternoon. “There’s nobody doing anything about the people with mortgage arrears – people who are up to their eyeballs, some committing suicide, over the worry of not being able to pay their mortgage. “That is the crucial and most important thing – this country will never come out of decline unless there is money flowing back into the coffers,” she said. I am not a fan of Fine Gael by any stretch of the imagination – Mr [Michael] Noonan had loads and loads of changes to use our veto against Europe to cut down on the bailout. If he’d pushed to the limit we could have gotten a lot more. As far as I’m concerned, he’s a moron. Loftus will remain as mayor of Tuam but said she would now sit as an independent councillor, and that she would contest any election she could against Keaveney “in every election he runs in” in protest at his role in the local Labour organisation. Keaveney, who was elected chairman of the Labour Party earlier this month, said Loftus had been a “fine public servant” and acknowledged her “dedication and commitment to her community”. “It’s a difficult decision for anybody to make, and I respect her decision,” he said. “If there’s a legacy issue there for her, she’s more than welcome to talk to me about it. “Politics is very challenging and it’s’ a very challenging time to involve yourself in civic and public life… that carries a heavy toll on our local politicians,” he said. Email “Mayor of Tuam quits Labour over county council 'shafting'”. Feedback on “Mayor of Tuam quits Labour over county council 'shafting'”.